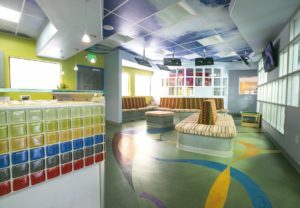 Given the opportunity to overhaul a pediatric dental office, Royer Designs created a space any kid would love to visit. 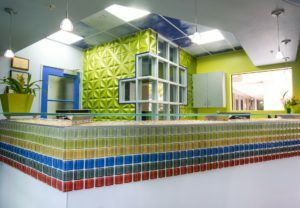 Visit Young Smiles in Fremont, CA and you’ll find bright colors around every corner: on the reception wall as a rainbow of glass tile, on the upholstery in fun patterns (and durable too, to withstand years of patient visits), and on the floor through a unique wayfinding solution. 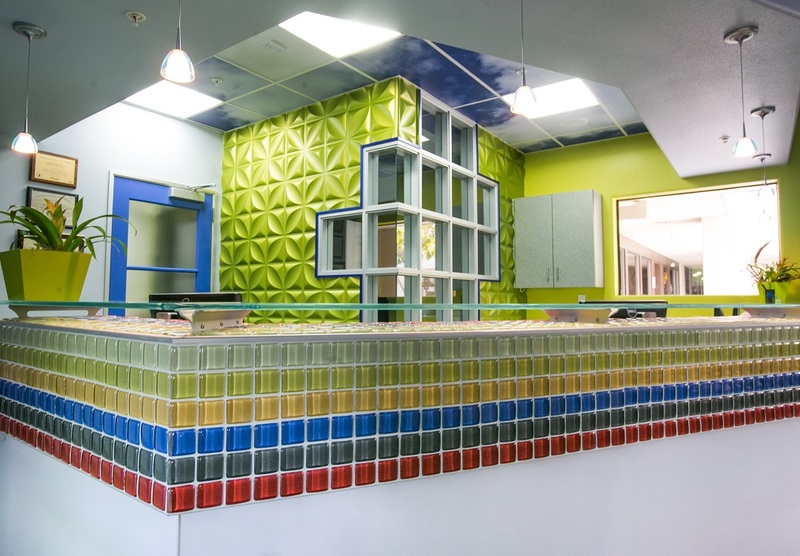 Royer Designs collaborated with Diamond D Concrete in Capitola to bring the vision to life. 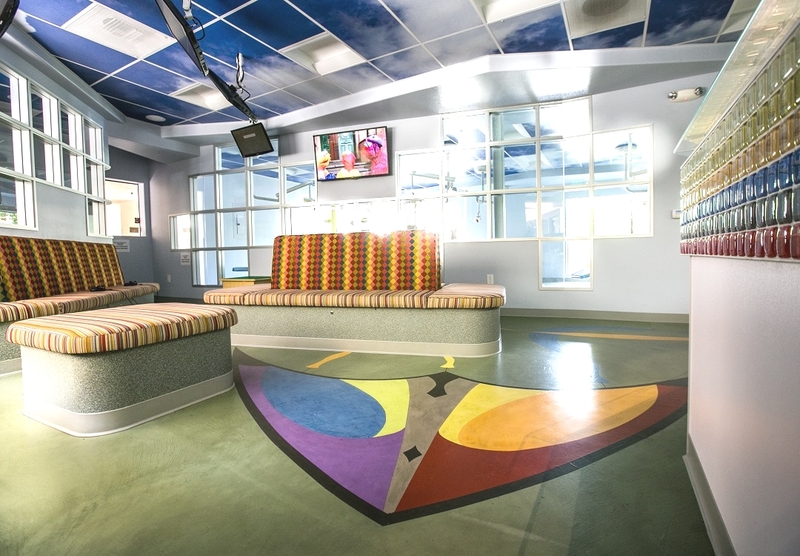 The design was based on a kite, with each tail strand a different color representing a type of service the practice provides. 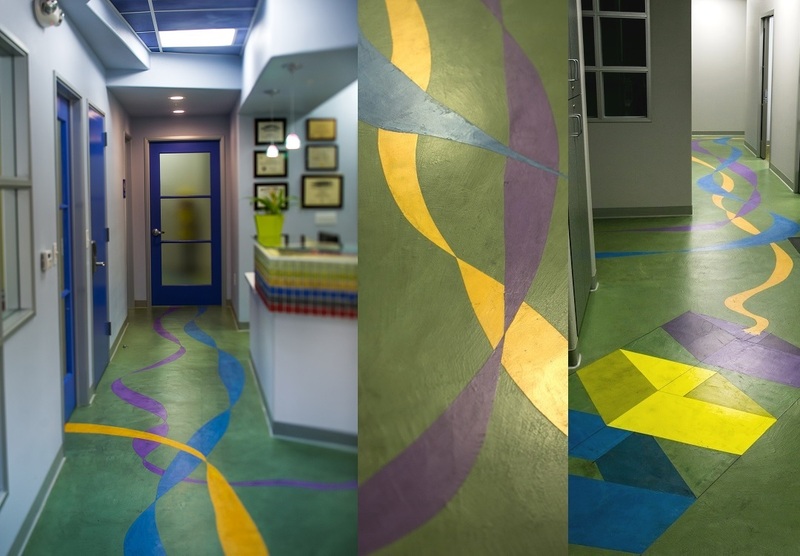 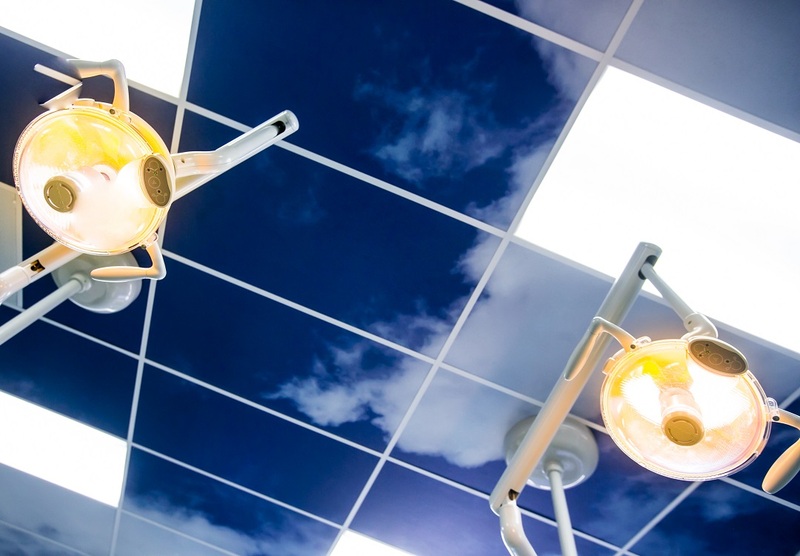 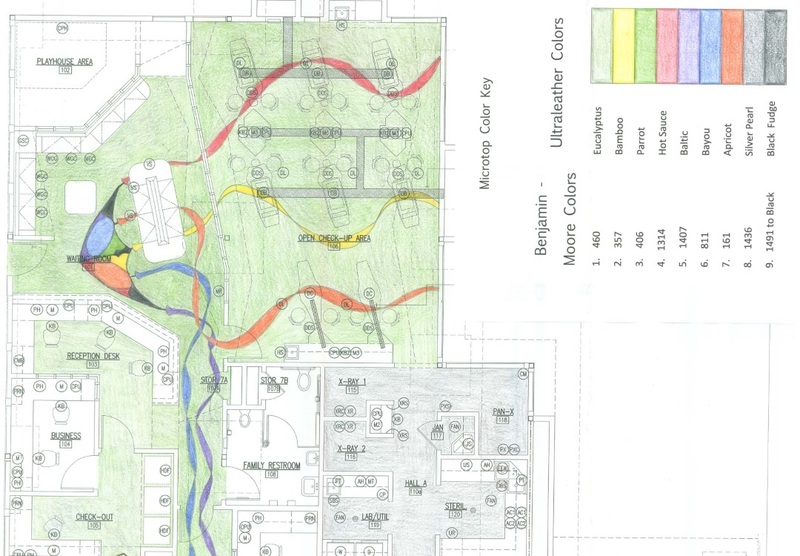 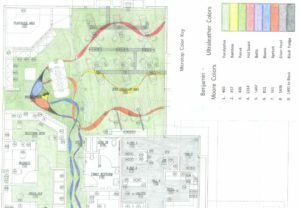 Patients could then follow the corresponding color to the room or area where they would have the appointment. 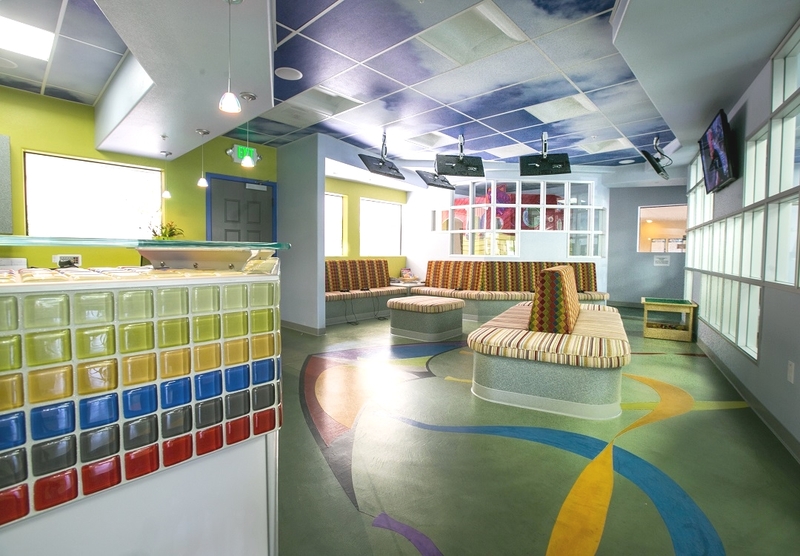 A fun twist was added on the ceiling as well; kids can look up for a distraction and find the tiles above look just like the sky.